You’ve got questions. And we’ve got answers. This November, we’re celebrating men’s health with answers–answers to some of the most common prostate questions we hear as urologists at UC Health. Join us every week as we break down prostate cancer topic by topic–from screenings to treatment options. We’ll share our thoughts, insights and recommendations on prostate cancer to help you stay healthy. Let's face it. No one is excited about the thought of a prostate exam. But it's an important part of staying healthy. 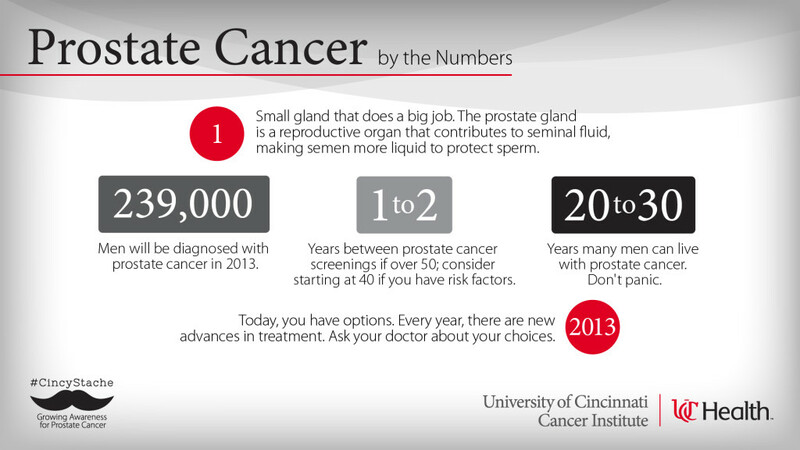 Learn more about the basics of prostates, prostate cancer and why screenings are important. I have an elevated PSA level. What should I do? Learning you have an elevated prostate-specific antigen (PSA) level can be a bit overwhelming. But it’s important to take a deep breath, relax and realize one elevated PSA test result does not necessarily mean you have prostate cancer. Take a minute to arm yourself with the information you need to understand your results and get your questions answered. I have prostate cancer. What are my treatment options? Today, there are many options for men who have been diagnosed with prostate cancer – from active surveillance to robotic prostatectomies and hormone therapy. We’ll help you sort through the facts of a few of these treatment options. 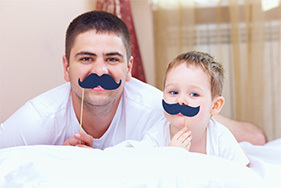 At UC Health, we’re committed to making men’s health about more than a mustache. November is a great time to make issues like prostate cancer top of mind and the topic of conversation through fun ways like growing out mustaches (or even putting 40 foot mustaches on buildings). But we know that for the men in our lives to really stay healthy, it needs to be a conversation that takes place all year long. The region's most advanced prostate cancer diagnostic technology and treatment options.